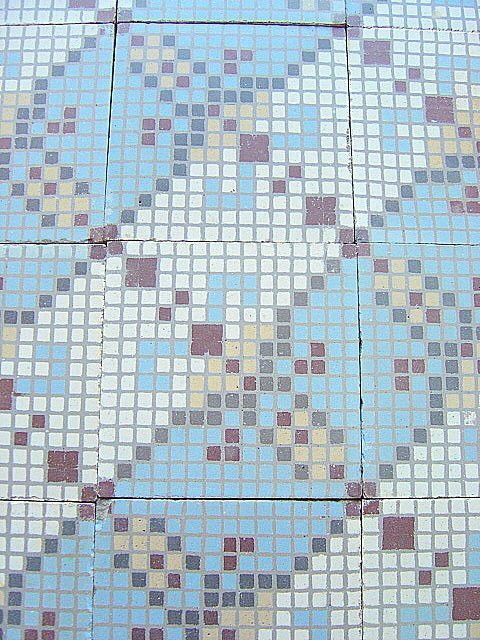 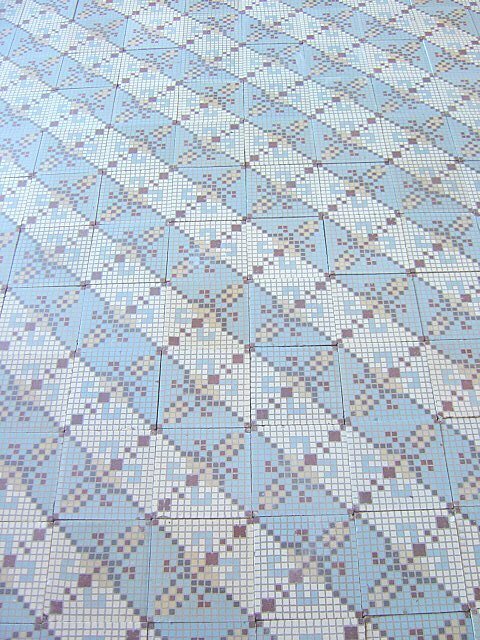 11m2 / 118 sq ft of 15cm sq / 6 inches sq ceramic encaustic floor tiles removed from the bathroom of a house in Eu, Normandy. 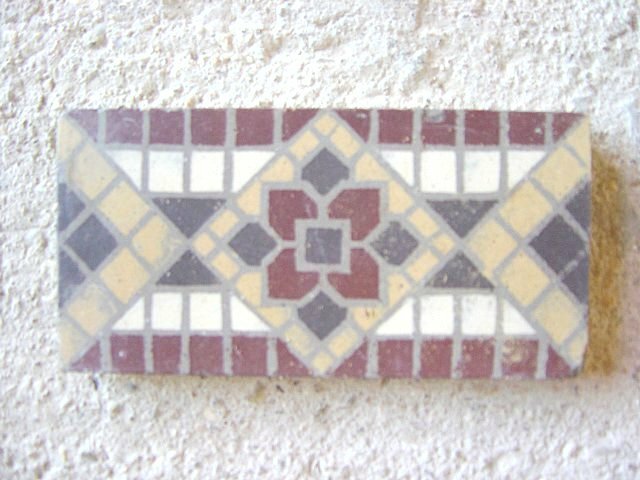 The tiles date from c.1920 and are sold with their original red and yellow diamond motif half size border tile. 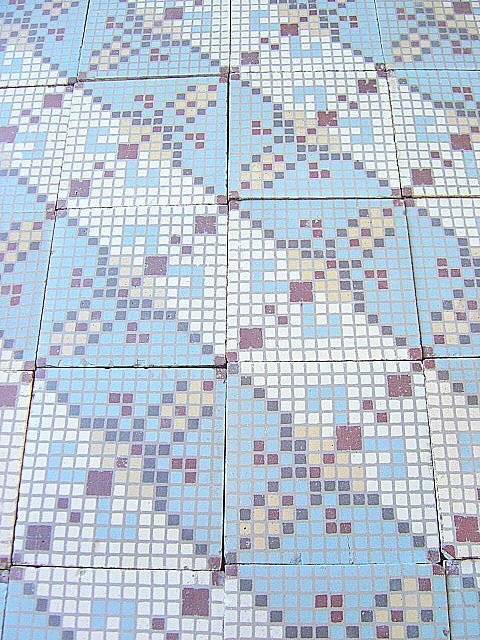 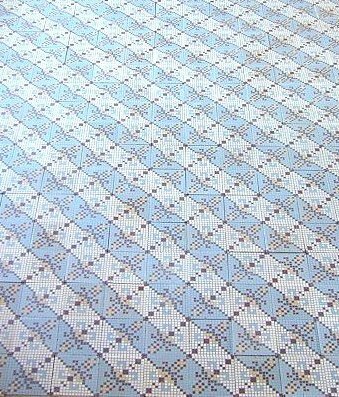 The geometric design of the floor, built on a mosaic theme, lends itself to being laid in one of several ways. 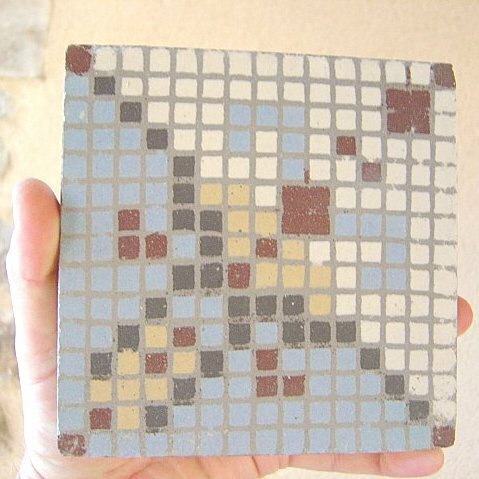 Photographic options for two layouts are below. 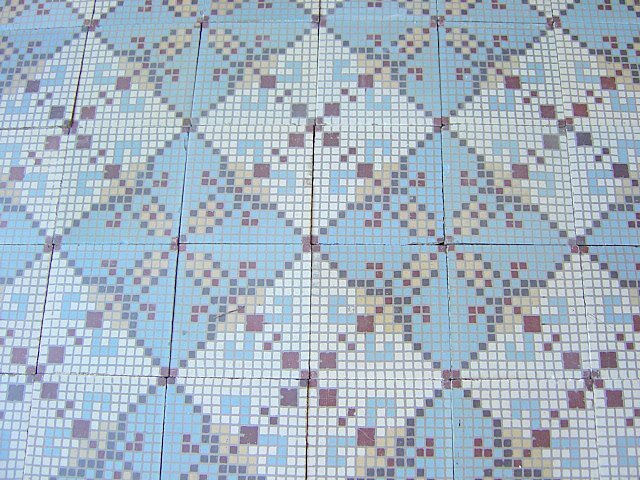 The floor is in good condition and having been cleaned of old mortar to the reverse and sides and their faces steam cleaned, the tiles will arrive ready to relay. 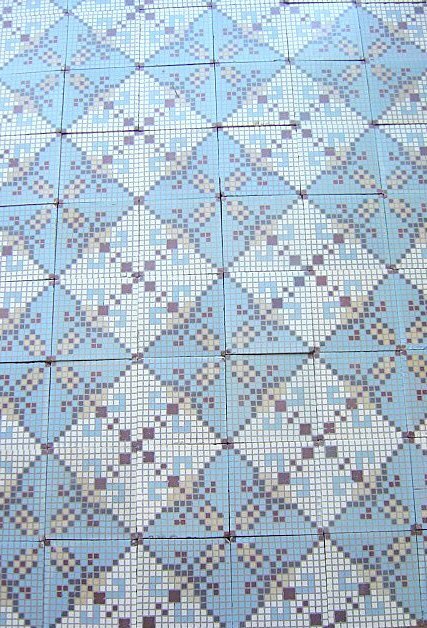 If you have any questions regarding our Antique French bathroom tiles c.1920 in a mosaic theme, simply complete the short form below and we'll respond to your enquiry as soon as possible.